This marginal technical phenomena, which looked like another “nerd” passion, is now claimed to have become the pillar of the technocracy of the new world order. With a general capitalization netting over USD 800 billion at the end of 2017 at one time the crypto industry attracted the massive attention of mainstream media, conservative investors as well as regulatory bodies. The technology is now believed to have the potential to disrupt financial services markets profoundly, and not only change the way we think about money but become a building block of a new world of distribution. First coming to light in 2008, Bitcoin introduced the concept of a peer-to-peer version of electronic cash, which enables online payments to be sent directly from one party to another without going through a financial institution. Based on an open source code, Bitcoin remains the flagship of the crypto market with a market share of approximately 40% of all crypto assets in the world. As of the time of writing of this article, more than 1,500 cryptocurrencies and crypto tokens have been introduced to the market and new ones are appearing all the time. The main technological breakthrough introduced by the Bitcoin is the technology of Blockchain. It is based on the concept of the open, a distributed ledger that can record transactions between two parties verifiably and permanently eliminating the need for a trusted third intermediary party. The technology itself can go much further than just a virtual currency. The idea of the decentralized peer-to-peer network, which cannot be altered retroactively, makes blockchain look like the perfect solution for different activities regarding management of records: recording of events, medical records identity management, transaction processing, documenting provenance, food traceability or even voting. Another game-changing blockchain-based concept was introduced by the Ethereum platform. Ethereum is an open source, public, blockchain-based distributed computing platform and operating system that features the ability to create smart contracts. For all the activities on the platform, users need to have the platform’s native cryptocurrency, which is called Ether. At the moment Ether is the second most popular cryptocurrency after Bitcoin with a market cap of USD 72 billion. But not only did Ether introduce the concept of easily programmed smart contracts, but a new and useful way of raising capital for start-up companies called the Initial Coin Offering (ICO). The concept derived from an initial public offering (IPO). An ICO is a means of crowdfunding for the projects centered around the idea of cryptocurrency and blockchain. During an ICO, a project is distributing its cryptocurrency (or “tokens”) among investors in exchange for other cryptocurrencies, usually Bitcoin or Ethereum. These tokens are promoted as future functional units of the blockchain based product, which the projects undertook to develop by means of crowdfunded assets. The concept introduced by the Ethereum platform allows for the cost-efficient raising of funds, reducing the costs of regulatory compliance and eliminating institutional intermediaries such as venture funds or stock exchanges. In 2017 the ICO market was, we can say retrospectively, called a “crypto gold rush age” or “investment Wild West.” Without a legal and compliance framework projects raised millions of dollars with no clear objectives for project development. At the beginning of 2017, most governmental agencies around the globe treated ICO as just another marginal finance phenomena, which did not look like any potential threat for existing financial systems. But the combination of the price for Bitcoin peaking at USD 20,000 for one Bitcoin in December 2017 as well as the progression of the number of ICOs, changed the situation. Regulators from different jurisdictions started expressing concerns about the potential risks of cryptocurrencies and ICOs, focusing on security, regulation, volatility and the possibility that the market could turn into a speculative bubble. One of the most significant concerns is that cryptocurrencies could be used in money-laundering. All the actors of the crypto market agree that 2018 is destined to become the year of regulatory reckoning. And countries around the globe are trying to figure out how they are going to treat cryptocurrencies and ICOs. The USA is without doubt the ICO regulatory approach trendsetter. No ICO these days is launched without prior evaluation of the risks concerned by involving USA investors. The US Securities and Exchange Commission is continually warning investors of the risks of investing in cryptocurrencies, has investigated several ICOs and is actively advocating for greater cryptocurrency regulation. The People’s Republic of China is going down the path of being the most strict cryptocurrency regulator among the world’s major economies. This is ironic since China is the leading crypto mining “venue” hosting. Some estimates suggest the country has more than 50% of the world’s Bitcoin mining facilities. However, the Chinese Government has been applying ever-increasing restricting actions on cryptocurrency and ICO— related activities. At the present time, China is the only developed economy which has completely banned ICO on their territory, is enforcing banks to shut down accounts for those companies associated with crypto-exchanges and crypto mining and developed a nationwide ban on access to cryptocurrency trading via the Internet and mobile phones. While significant sustainable economies with a developed financial infrastructure and stock markets show a restrained attitude towards this phenomenon putting emphasis on the anti-money laundering aspects and consumer protection, smaller scale economies do see the potential for attracting capital. There is now an open competition between smaller jurisdictions to attract ICOs: Switzerland, Gibraltar, Singapore are the leaders of this regulatory race. For example, Switzerland’s financial supervisor is continually coming up with guidelines designed to develop a friendly environment for local ICOs. The Finma monetary authority is supporting the ICO market by clarifying when entrepreneurs will have to apply anti-money laundering and securities laws. The Digital Ledger Technology (DLT) Regulatory Framework has been introduced in Gibraltar, which is designed to update its financial services regulations according to the latest blockchain fashion it laid down as the foundation for new legislation governing the cryptocurrency sector. According to official information, the next step planned by the Gibraltar regulator is to introduce a ICO legal framework in the summer of 2018. Though Ukraine is not often mentioned in the world’s mainstream media as being among the “superstar” crypto jurisdictions, it does have the potential to become the regional blockchain leader in the post-Soviet space. In the Networked Hotbeds of Blockchain report, our country was mentioned as being among 14 leading countries for blockchain technology development and integration. A decentralized state auction, an e-Government platform, a blockchain-based state land cadaster are just a few of the public sector infrastructure projects being developed at the time of writing of this article. The most valuable Ukrainian asset is its people, which are driving change, exploring the future of blockchain, and developing this disruptive culture of sharing of economic thinking. Highly-trained IT developers have in recent years grown an entirely viable high-tech sector which now makes up around 2.5% of Ukraine’s GDP. In a country with post-soviet legal and economic systems that are hardly aimed at innovation, one of the most robust crypto ecosystems in the region has managed to flourish. The Ukrainian crypto ecosystem includes crypto startups, lawyers, and representatives of government bodies. They communicate on a regular basis, hold meetings and work in groups in an attempt to initiate viable legislative updates. 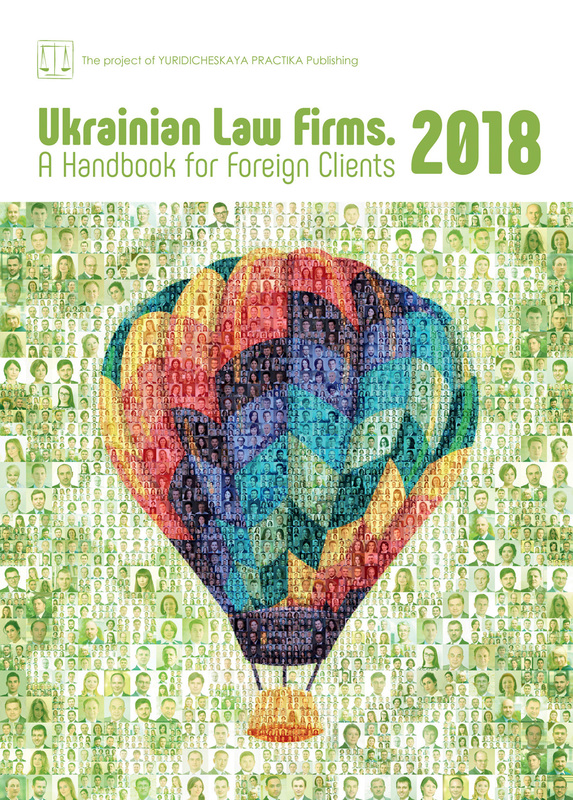 When this article was going to print, mining had official recognition as a lawful business activity in Ukraine, four draft laws aimed at cryptomarket regulation had been submitted to Parliament, and the National Bank of Ukraine had recognized that operations involving cryptocurrencies are legal on the territory of Ukraine. There is still no official recognition of a cryptocurrency as a lawful means of payment, and it is treated more like an asset. However, legal uncertainty is no impediment for Ukrainian crypto teams, which have already managed to raise more than USD 100 million through various ICOs.